The Law Offices of Fred M. Ainsley P.C. is a full-service law firm committed to providing quality legal services to all of its clients. We provide customized legal representation for each client, and we tailor our services to fit your specific legal needs. Our attorneys have over twenty years of experience handling civil, real estate, and commercial litigation matters on Long Island and in the New York City region. We strive to provide our clients with individual attention. 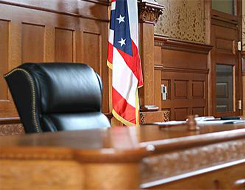 If you are seeking legal advice from our experienced attorneys, please call us for a free consultation. We are dedicated to providing responsive communication, creative and aggressive representation, and cost-effective counseling and advocacy. Whether representing an individual or a business, the client's interests come first. Your success is our success.